The fifth and sixth starting flights of the WPT500 Los Angeles were completed on Monday at the host venue, the Bicycle Casino. Days 1E and 1F brought the field of the brand-new edition of the popular event to a total of 764 entries. And the survivors from these two starting flights will be able to join their fellow competitors from the previous few days to progress all together into Day 2 of the $570 buy-in tournament. Day 1E kicked off at 11 am local time at the hosting casino. It drew a 105-strong field, but there were only five survivors left when organizers called it a day. Budd Beaman ended the day as the chip leader with a stack of 647,000. A look at the player’s Hendon Mob profile shows that he has a little over $8,200 in live tournament earnings, but if he keeps his momentum into the upcoming days of the WPT500 Los Angeles, he might change that and at a hefty payout to his bankroll. 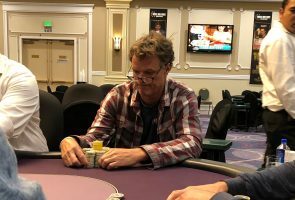 Erik Nason with 574,000, Marc Robinson with 398,000, William Wolf with 292,000, and Ilya Shpiner with 190,000 were the other four players to make it through Day 1E. They will all return to the host venue on Sunday, August 26, for Day 2 action. Day 1F featured a Turbo structure. It kicked off at 5 pm at the host venue to create a field of 51 entries. There were just three players left at the end of that sixth starting flight. Straton Wilhelm was the player to bag and tag the largest chip stack of Day 1F with 522,000. The player finished the day with a considerable chip advantage over his two other fellow competitors. Abdulaziz Alaquil with 264,000 and Thuy Nguyen with 235,000 were the other two to bag for the night. The WPT500 Los Angeles has attracted a total of 764 entries over the course of its first six starting flights and that original field has been reduced to just 39 hopefuls. There are ten more starting flights set to be played within the tournament, two on each of the next five days through Sunday, when Day 2 will take place and survivors from all starting days will gather together for the very first time. Sunday action will involve the hopefuls reducing the field to the final nine. The official final table of the tournament will thus be played on Monday when a winner will be determined. The event features a guaranteed prize pool of $1 million. The guarantee is yet to be crashed but there is still plenty of time for that to happen with the unlimited opportunities for an entry into the tournament. The Day 1A chip leader Peter Hengsakul is actually holding the overall chip lead among the 39 remaining players. 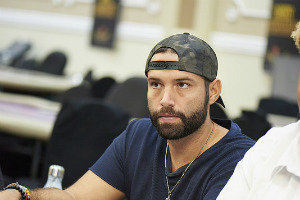 The player bagged and tagged 1.151 million at the end of his respective starting day to top the temporary chip counts chart with a significant advantage. The WPT 500 Los Angeles is not an unknown field for the poker professional. Last year, he finished third in the tournament for a monetary prize of $100,000.